For seven years, the foodies of Ann Arbor enjoyed Mark’s Carts, the town’s original food cart and mobile eatery courtyard. Though Mark’s Carts closed down for good in 2017, the trucks that called it home are still thriving and can be found at events throughout Southeast Michigan. 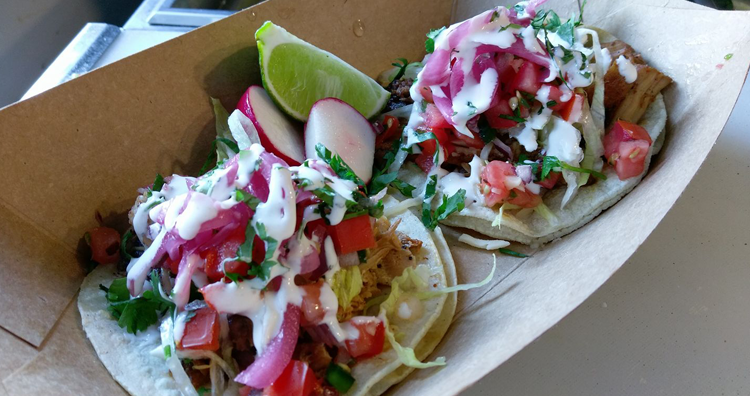 To celebrate those local, mobile entrepreneurs alongside the newbies, the foodies and the innovators, we rounded up the must-try food trucks in Metro Detroit and the Ann Arbor area. Found frequently at events in Ann Arbor and in our surrounding communities, it won’t be hard to track these down — and you’ll be glad you did! 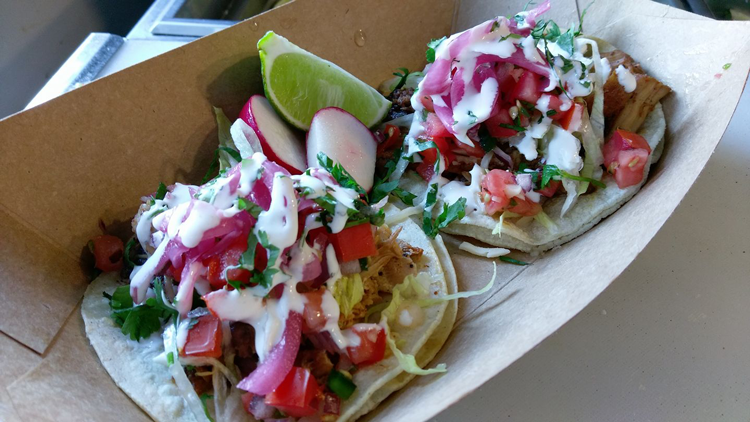 This mobile eatery brings the authentic flavors of Spain to the streets of Southeast Michigan. The team’s paellas and tapas are prepared with a mix of locally sourced ingredients and imported Spanish products. They became an Ann Arbor favorite at Mark’s Carts and now can be found at events throughout the region. Famous amongst all Ann Arbor foodies, this barbecue joint has a permanent parking spot at 1928 Packard St. While enjoying the sun and the outdoor seating, you can taste brisket, pork shoulder and spare rib served with Pacific island style atop rice, scallion, tomato and a splash of finadene. Pizza is one of our favorite food truck meals and Wood Fired Up takes the classic pie up a notch. Each pizza is topped with hand-pulled mozzarella and cooks in the wood fire pizza oven in less than two minutes! During the summer, you can find this truck and mobile pizza oven at Sundays in the Garden at Cultivate Coffee & TapHouse, the Ann Arbor Farmers Market Food Truck Rallies and more. Cosa Sabrosa is an Ann Arbor original serving up some of the best tacos and Mexican food in the area. Using natural and local ingredients, the menu features seven different tacos — including vegetarian options — as well as burritos, homemade salsas, sides and drinks like watermelon limeade and horchata! One of the most recognizable food trucks in Metro Detroit, Crepe Day-Twah serves up delectable crepes filled with ingredients like mini marshmallows, Oreo crumbles, Cinnamon Toast Crunch and chocolate syrup in the sweet options and thinly sliced prosciutto, mozzarella, baby spinach and pear slices amongst the savory. Based out of Ypsilanti, Jamerican Grill specializes in Jamaican Jerk, Jamaican street food and American bison burgers served with hand-cut french fries. Their colorful truck can be spotted at events throughout Metro Detroit and the rest of Southeast Michigan. All handmade by an Italian from Chicago, Matt and Mo’s serves up authentic, homemade, Chicago-style Italian beef sandwiches and sausages. Savory toppings like sautéed sweet green bell peppers and hot giardiniera ensure every sandwich is flavor packed! 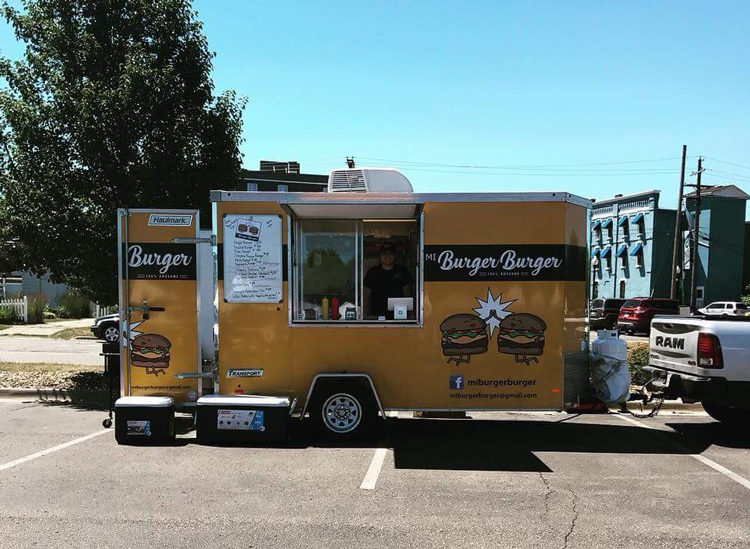 One of Southeast Michigan’s favorite mobile eateries, MI Burger Burger offers hand-pattied burgers made with a locally sourced, custom ground beef blend. Heaps of creative toppings and options like the donut slider make this one of our favorite burgers in the region! Whether your diet is gluten-free, vegan, vegetarian or strictly bread, cheese and meat, this food truck has a custom or signature bowl for you. Using local, Michigan products, the team crafts fresh, home-cooked comfort food in easy to manage bowls so you can enjoy it on the go. All natural, gluten and nut free, locally made and featuring 100% Michigan fruit, MI Pops’ ice pops are the sustainable, cold treat you need this summer. Each seasonal flavor is handcrafted without artificial flavors, sweeteners, preservatives or colors. 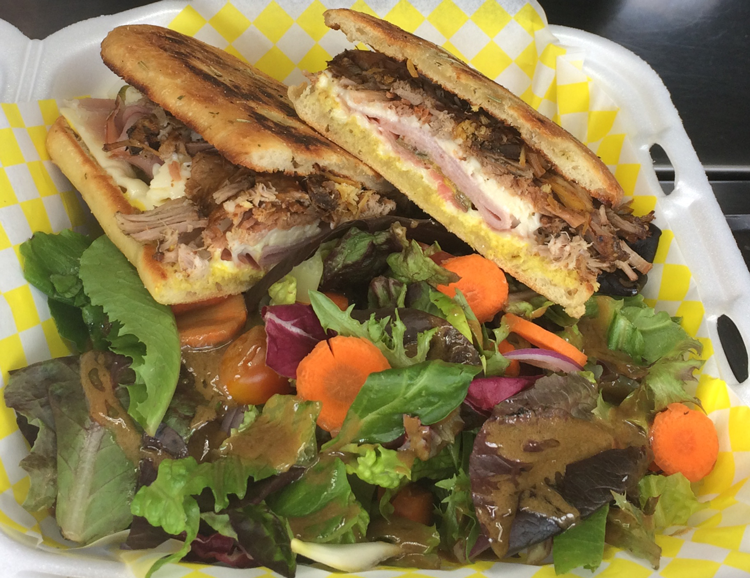 This Detroit-based food truck is the go-to for gourmet sandwiches with character (literally). Their creations are named after heroes like Thor, Hawkeye and Megatron, and they’re filled with fresh ingredients, sourced as locally as possible. You can catch them at events around Metro Detroit and at the Ann Arbor Farmers Market Food Truck Rallies! 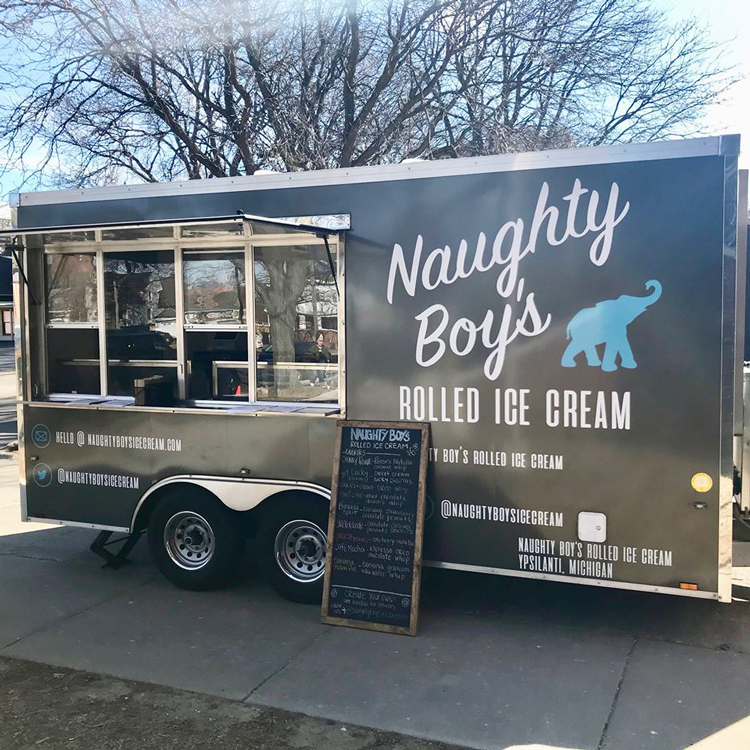 Using the freshest ingredients sourced from local farms and Michigan communities, Ypsi-based Naughty Boy’s Rolled Ice Cream crafts trendy, Thai-style ice cream right in front of you. Made without artificial sweeteners or preservatives, you can rest assured your dessert is always fresh and always delicious. Petey’s Donuts takes homemade apple cider donuts, coffee and fresh apple cider on the go. Found at events throughout Metro Detroit and Southeast Michigan, this little red trailer is one of our favorite summer sightings! Always vegan and always gluten-free, the food at Shimmy Shack turns vegetarian and vegan food stereotypes on their heads. Featuring American classics like burgers, coneys, chili, fries and milkshakes, the menu includes mouthwatering descriptions like homemade sweet potato-black bean chili and a grilled lentil patty topped with vegan cheese. TruckShuka serves up flavors not often found on the Metro Detroit food truck scene: authentic Israeli street food! Filled with bowls, platters and artisan Jerusalem pita sandwiches, the menu is influenced by Michigan ingredients but stays true to the scratch made, healthy, tasty cuisine of Jerusalem.